One thing we can confirm: there was a Native American presence during that time. This may seem obvious, but Wayne Appleton with the Appalachian American Indian Association says it’s worth pointing out. “The official state position is that there were no indians here when the white settlers arrived. Nobody knows why, but they weren’t. And the fact is, that’s nonsense,” Appleton said. According to Wheeling Heritage museum coordinator Travis Henline, one tribe that had a particularly commanding presence along the Ohio River were the Shawnee. The Shawnee lived in the upper Ohio Valley and could be found as far south as the Kanawha River. They fought with a group of tribes from the northeast known as the Iroquois Nation. The Delaware tribe also lived here, but were pushed out of the Eastern Panhandle by the late 1700s. Seneca and Mohawk tribes lived in north-central West Virginia, near Morgantown. The early history of southern West Virginia is less understood. Many experts, like Travis Henline in Wheeling, say land there was connected to the Cherokee tribe, but only tangentially. Bonnie Brown, the head of Native American Studies at West Virginia University, speculates that there could have been a stronger connection. “From my understanding the Cherokee did not consider West Virginia homeland, but instead hunting land, and hunting land might mean they were there six months out of the year or more,” Brown said. So it's unclear which tribe of how many people, where, when, and for how long lived in West Virginia, the Native American presence in the state lingers. 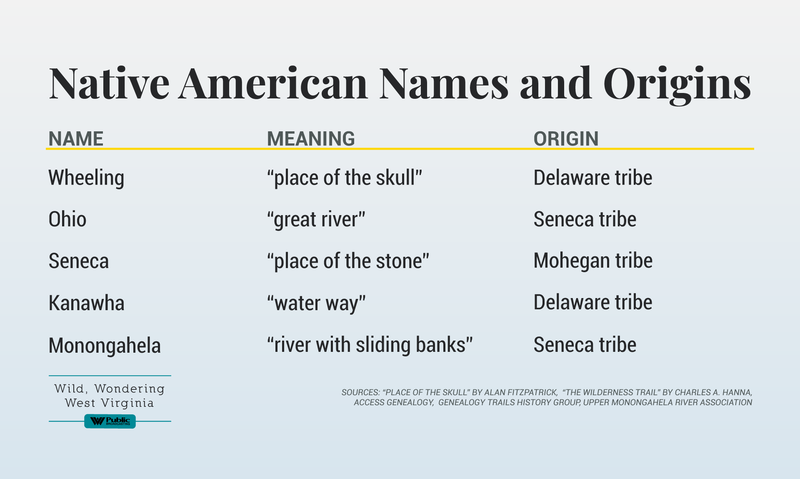 Native American names can be found throughout Appalachia, like the Kanawha River, Seneca Rocks, Wheeling. But Bonnie Brown says aside from scattered artifacts and names, there’s something that remains that is more tangible: people. Some experts estimate that about 11,000 Native American descendents live in West Virginia. One of those is Wayne Appleton, the member of the Appalachian American Indian Association. Appleton, also known today as Chief Grey Owl, has Cherokee roots on his father’s side and Mohawk on his mother’s side. He moved from West Virginia with his family when he was three. Appleton remembers discovering his native heritage a few years later, in Utah, after hearing tales from Native American elders who lived around him. Appleton went on to earn a doctorate in chemistry. But he’s just as passionate about the role he plays with the Appalachian American Indian Association, trying to help people like himself find their Native American roots. Ohio River in Wheeling, W.Va.
Jamie Withcherman, who wanted us to look into this question, told us a great-grandmother was of Cherokee descent. Kayaking on the Ohio River makes Jamie think about her. But you don’t need a specific person, or specific attachment to the place you’re at to think about those who came before us. Next time you’re near the Kanawha River, or in Mingo County, or kayaking down the Ohio, take a second and try to imagine where that name came from, and more importantly, who came up with it. If you liked this story, you can become a member and help Protect WVPB. Do you have a question about West Virginia that you always wondered about? Submit your question below. But in 1915, it was a spot that became world-famous because of the work of Elias Sellards, Florida's state geologist. 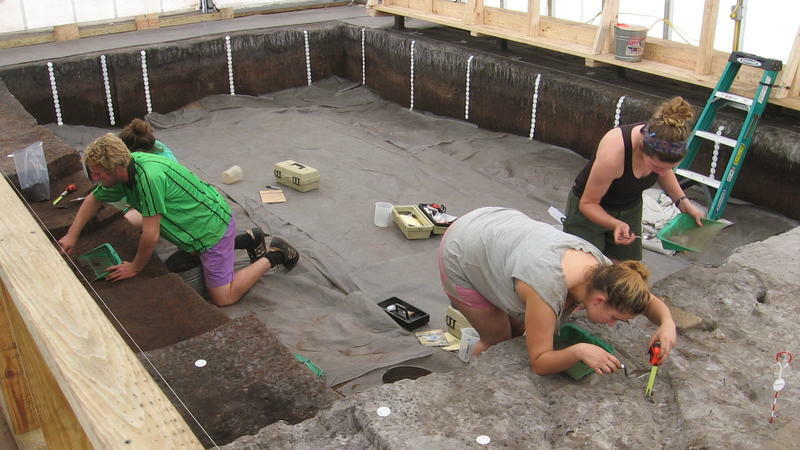 Sellards led a scientific excavation of the site, where workers digging a drainage canal found fossilized animal bones and then, human remains. Andy Hemmings of Mercyhurst University is the lead archaeologist on a project that has picked up where Sellards left off a century ago.